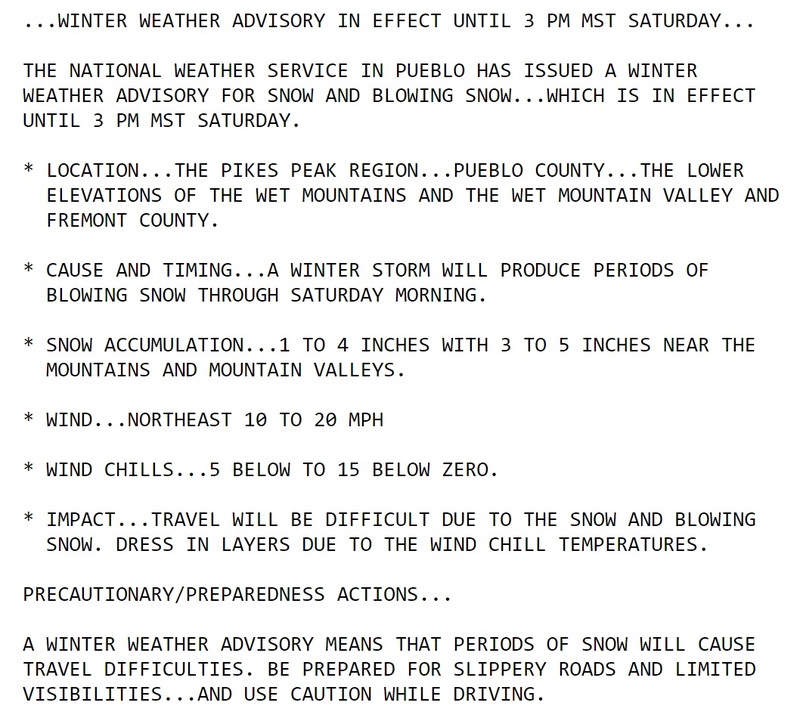 A Winter Weather Advisory has been issued for snow and blowing snow until 3:00pm on Saturday, December 17, 2016. This entry was posted in Uncategorized on December 16, 2016 by tstoeckl. 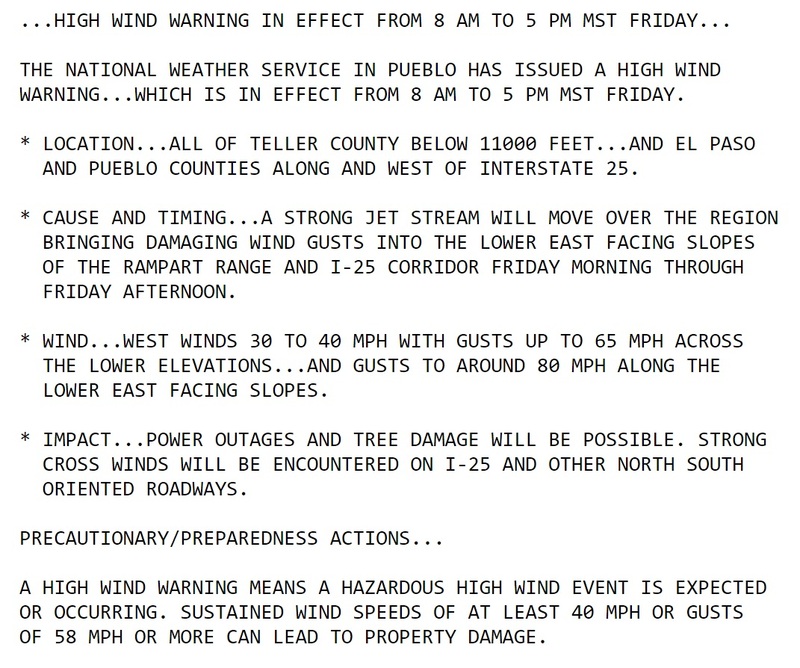 A High Wind Warning has been issued for El Paso county, including our UCCS campus for Friday, December 15th from 8:00am to 5:00pm. Winds 30-40mph are forecast, with gusts to 65mph possible. 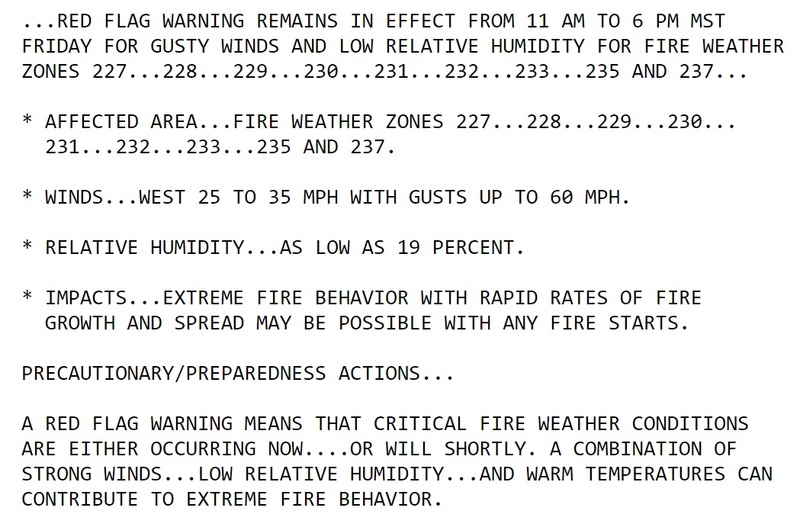 In addition, a Red Flag Warning for high fire danger has been issued 11:00am to 6:00pm on Friday. Avoid outdoor burning, use extreme caution with all possible ignition sources, and report smoke or fire immediately by calling 911. This entry was posted in Uncategorized on December 15, 2016 by tstoeckl.